A group of South Koreans living in Britain said Thursday that they plan to hold a candlelight vigil in London on Sunday to call for a thorough investigation into recent assaults on South Korean students. One of the Koreans involved in the preparations for the candlelight gathering said that the protest rally will be held in front of Marks & Spencer in London's Oxford Circus. The person said that the Korean community in Britain has been shocked by a recent instance of mob violence against a South Korean student. 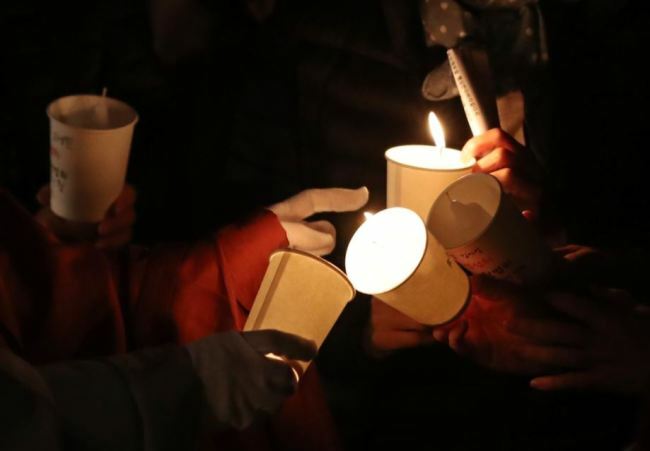 The person said a female Korean student was assaulted by 10 or so youths believed to be British people at the location of the planned candlelight vigil on Nov. 11. At that time, the young people threw garbage at the Korean student who was walking in the center of London. As she protested, the youths pushed her to the ground and beat her. There were many passers-by around but only two of them intervened. Most of them photographed it on their cell phones and the police didn't arrive on the scene despite being notified. In October last year, another South Korean student was assaulted by two British teens in the center of Brighton. The candlelight vigil organizer said that it is still unclear whether the Nov. 11 incident was a racially-motivated crime.